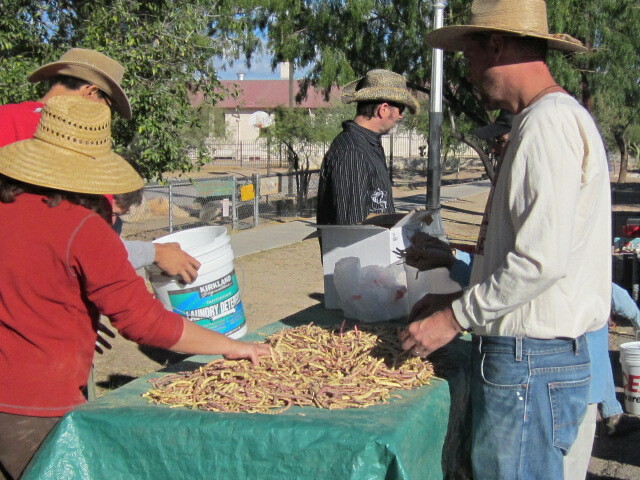 Desert Harvesters volunteers sort mesquite pods for twigs and moldy pods. 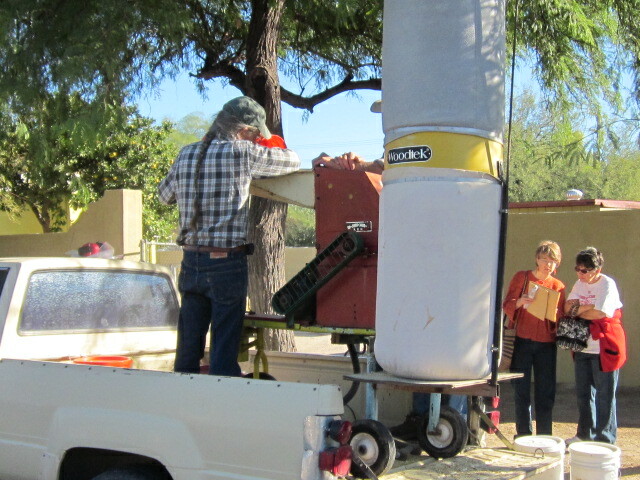 Last weekend Desert Harvesters held their last mesquite milling of the season in Tucson. Dozens of folks lined up with their buckets of pods to have them ground into silky mesquite meal. To protect their hammermills and ensure everyone gets at healthy product, volunteers check each bucket of pods before they are dumped in the mill to take out any twigs or moldy pods. Mesquite pods go in the hammermill. However, if you collected pods this year and didn’t get to the grinding, all is not lost. You can still make some delicious foods using the wet method. 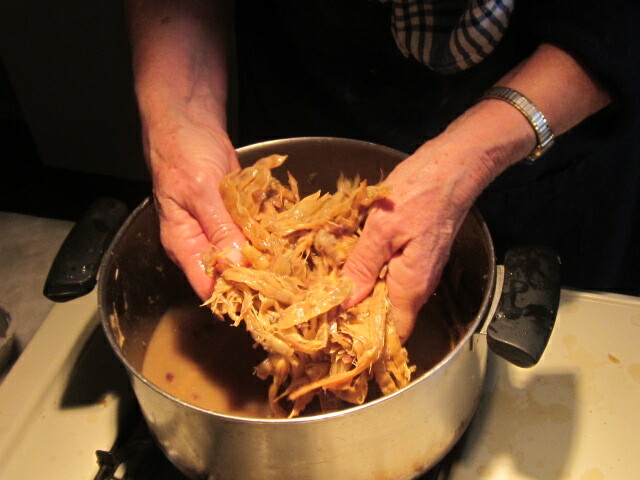 To do that, put several handsful of pods into a pot, cover them with water and simmer them for about 45 minutes or until they are very soft. 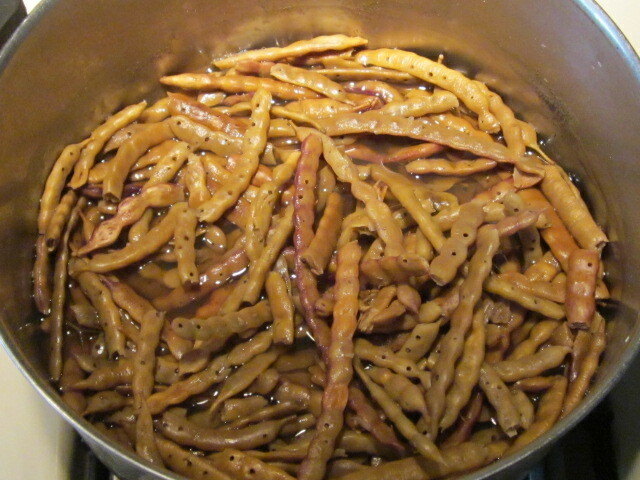 Mesquite pods boiled until soft. Now the fun part comes. Afte the pods are cool, plunge your hands into the mass and wring and tear until all the good sweetness is released into the water. 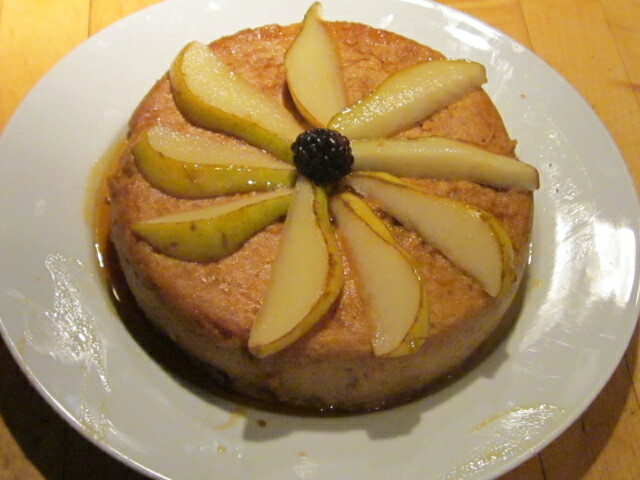 Wring, tear and squish until the sweetness is released from the fiber. When you have nothing but fiber and sweet broth, strain until you have…. 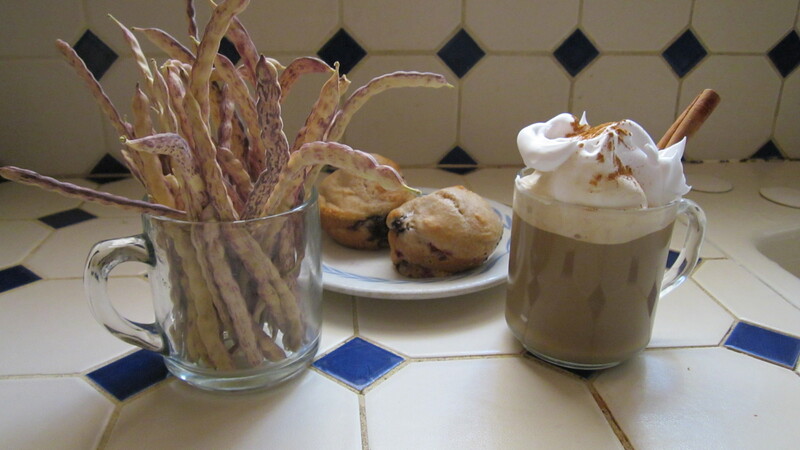 In a previous post I wrote about using mesquite broth to make a coffee drink. 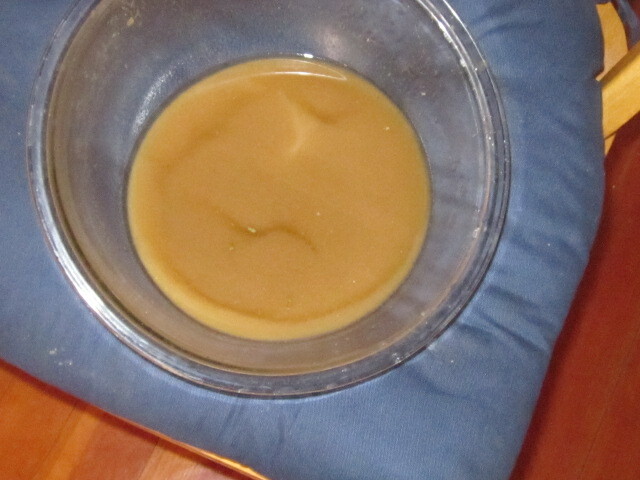 Include your mesquite broth with some coffee and milk and top with whipped cream. Yum! I’ll repeat the photo here because it is so beautiful. 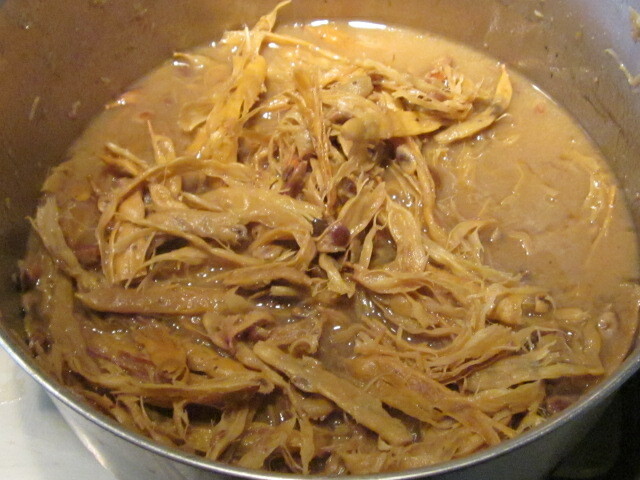 It isn’t hard to invent ways to use mesquite broth. For inspiration and other recipes using mesquite broth, take a look at my cookbook Cooking the Wild Southwest: Delicious Recipes for Desert Plants.